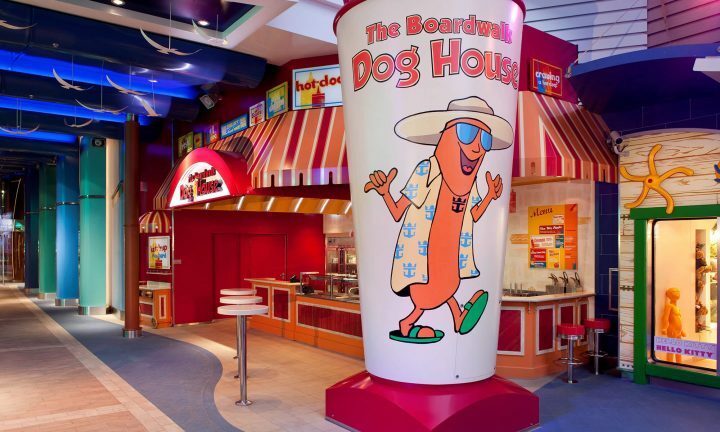 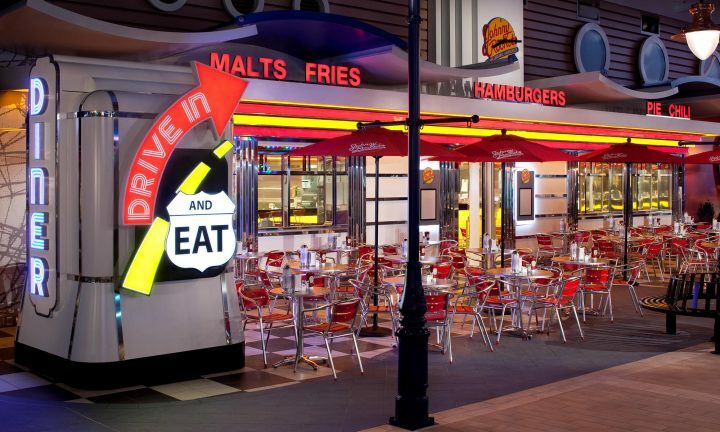 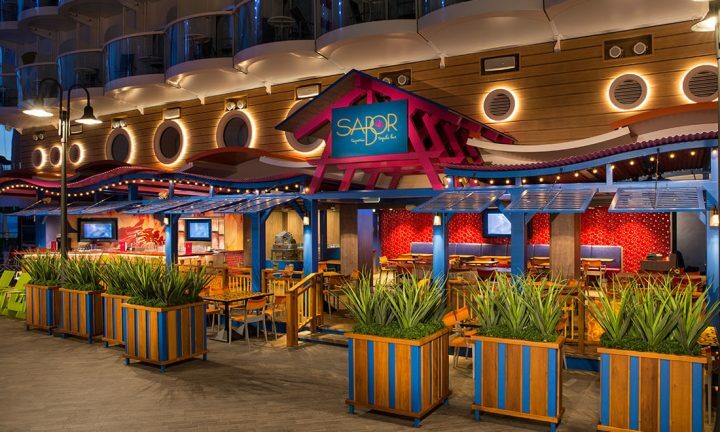 Welcome to SeaPlex Dog House, where the first-ever food truck at sea serves up gourmet hot dogs for all to enjoy in the SeaPlex, the largest indoor active space at sea. 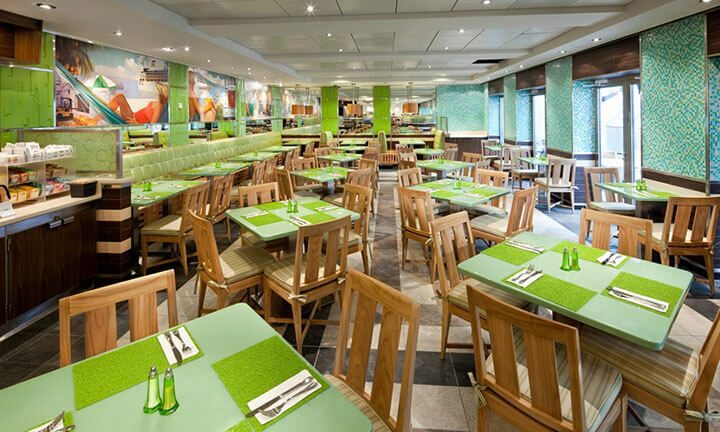 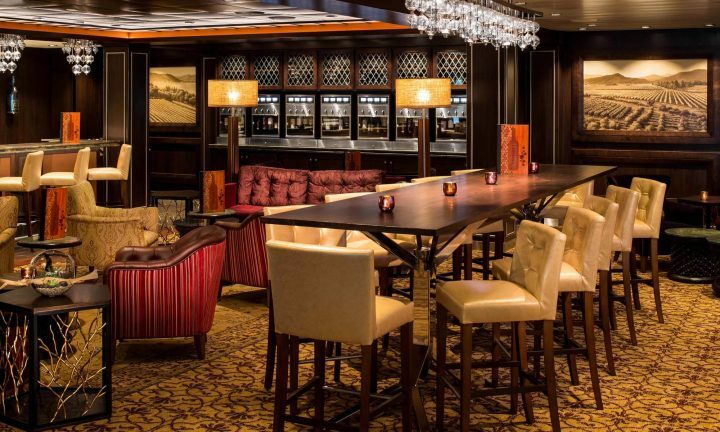 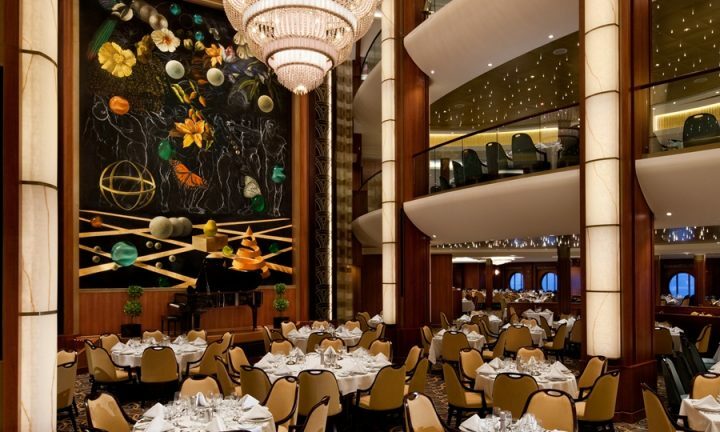 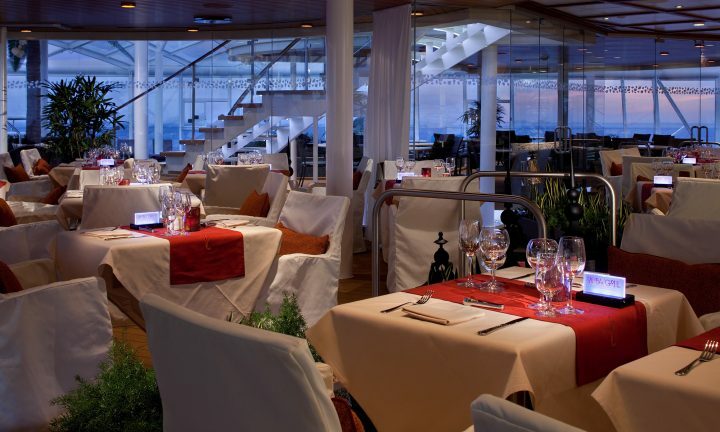 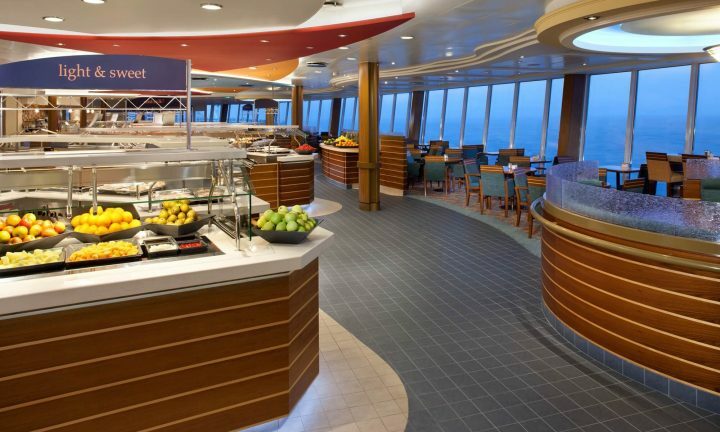 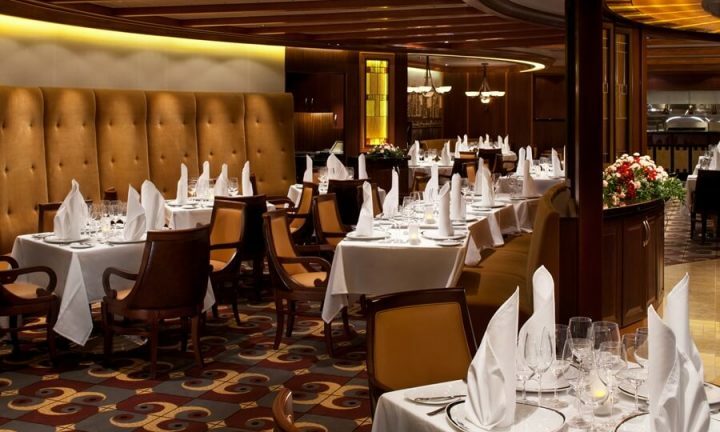 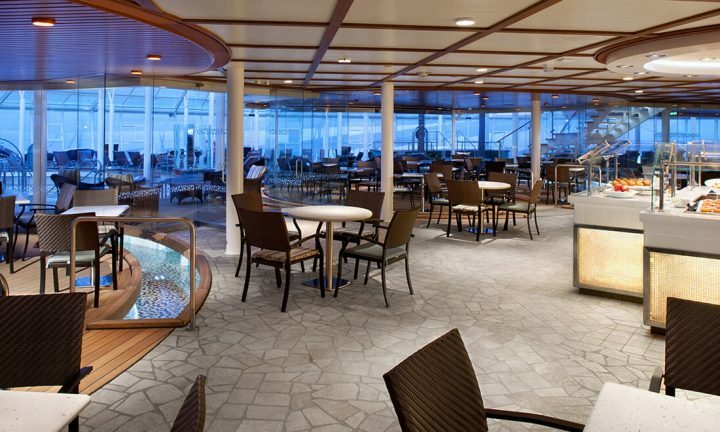 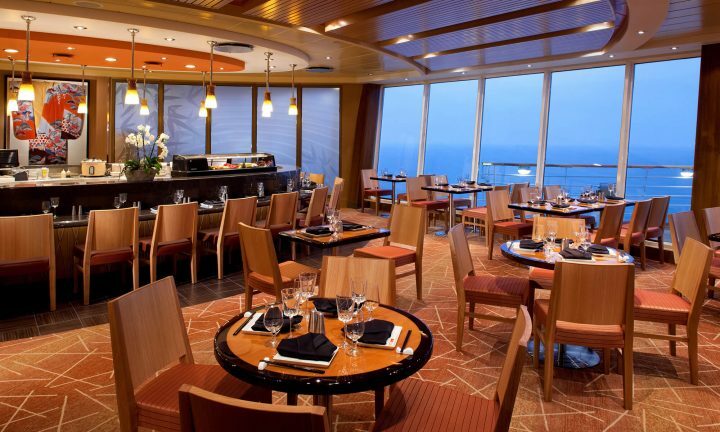 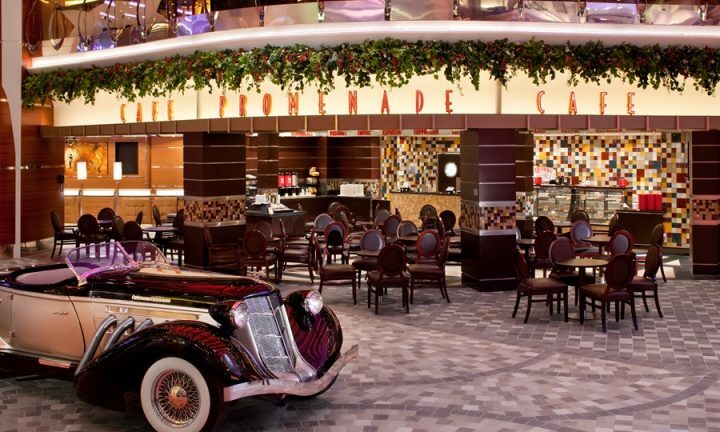 From contemporary Mexican cuisine at Sabor, to the showmanship of Teppanyaki at Izumi to classic Italian favorites at Giovanni’s Table, there’s a restaurant for every taste onboard our Oasis ships. 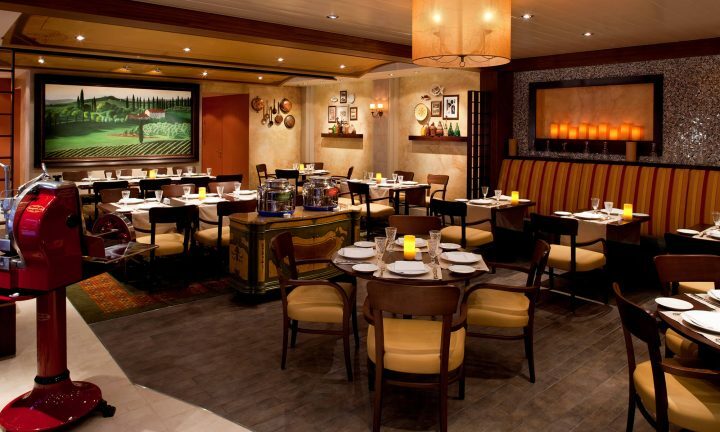 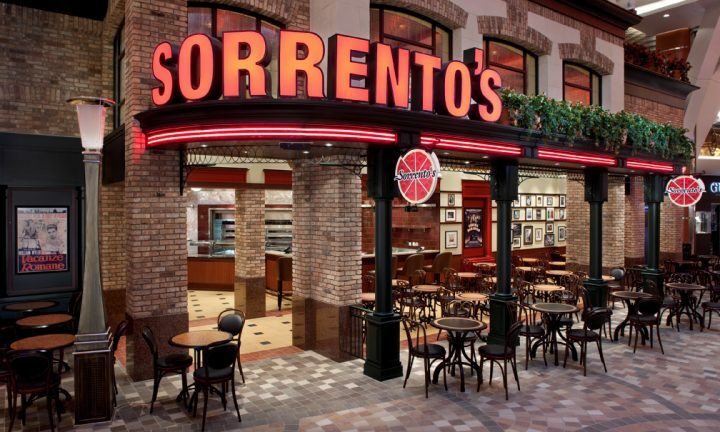 Your group can dine out at a restaurant or have it to themselves with our buy-out option. 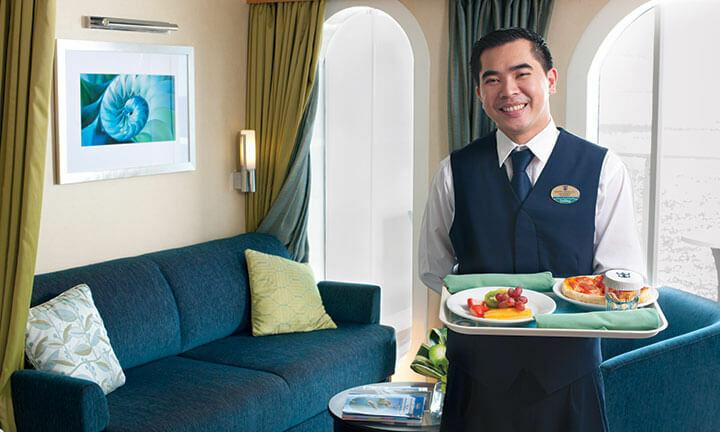 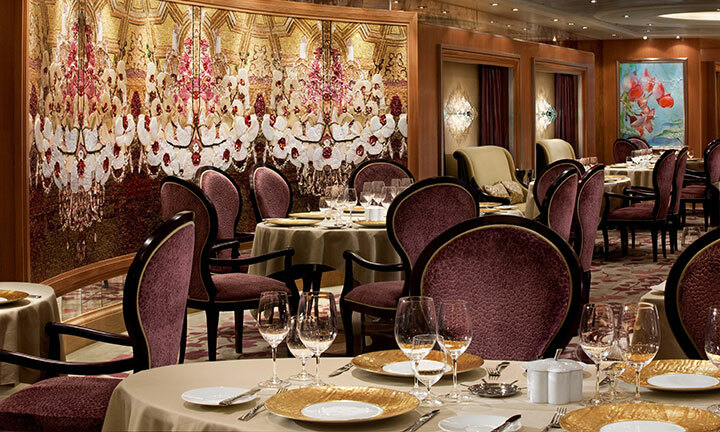 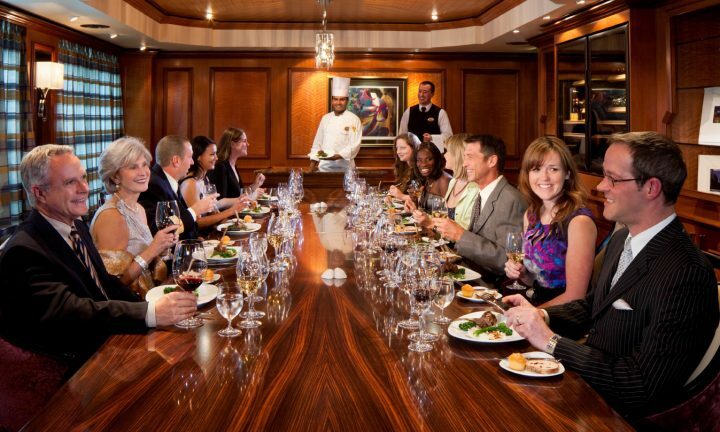 Only onboard our Oasis-class ships, guests can indulge in a premium dining experience in the most exclusive and sophisticated restaurant onboard, offering 6-8 course tasting-style menus. 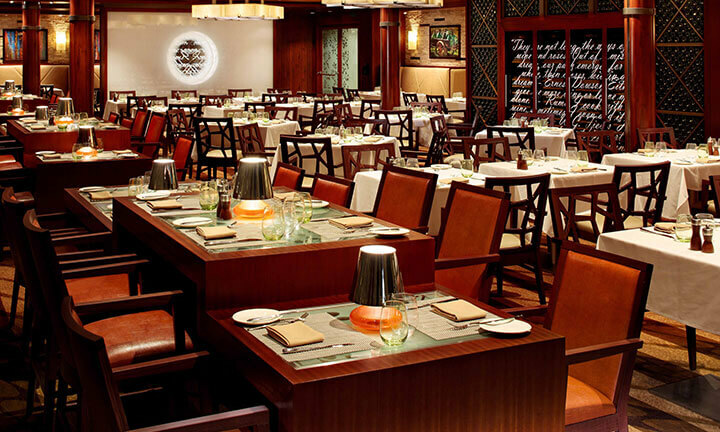 Sample seasonal, locally-sourced menus developed by James Beard Award-winning chef Michael Schwartz. 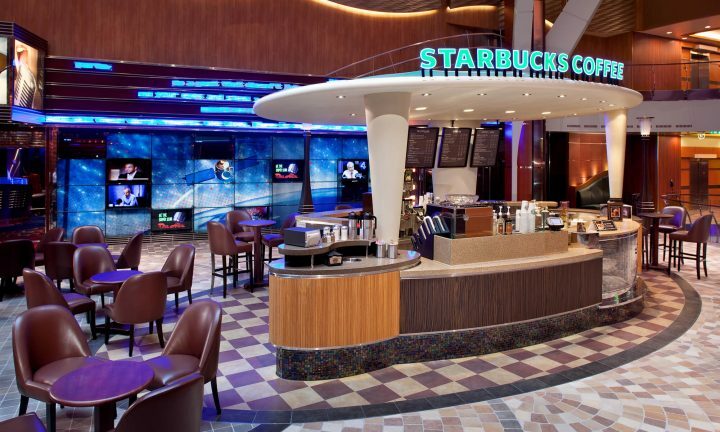 Our Starbucks kiosks onboard are similar to any Starbucks location you have been to on land.